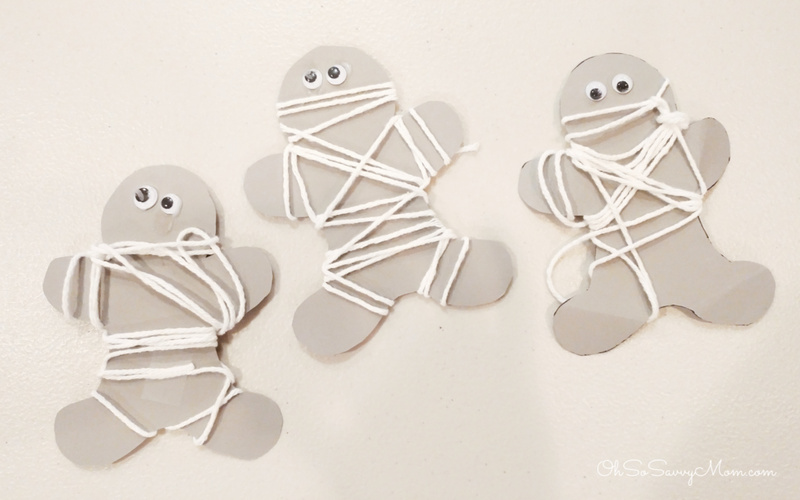 If you have kids who love Halloween, you’ll love this Halloween Mummy Preschool Craft! 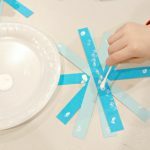 It is great for motor skill development, it is low mess, and kids LOVE the finished product! This Halloween Mummy Preschool Craft is one I do every year with my Mom’s Day Out kids. I love that it doesn’t take a ton of materials and the bulk of the prep work is simply cutting out the mummy figure. If you have kids ages 5+ you may try letting them cut out the mummy figure on their own. Whenever I do a themed craft like this, I usually pair it with a coordinating book. 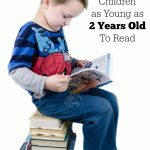 At the end of this tutorial, you’ll find a list of some of the best loved Halloween books for Preschoolers. 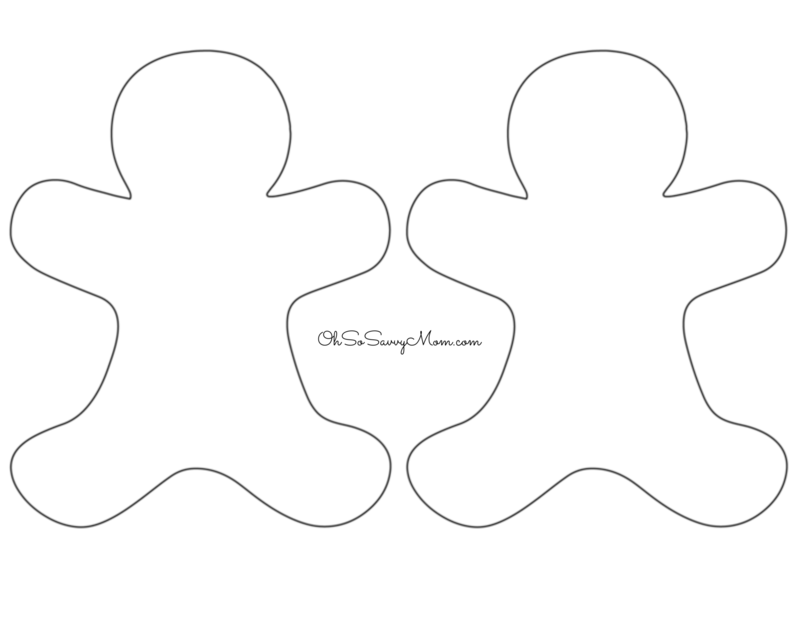 You’ll also need this free printable Gingerbread man template. Click this link or the image below to print. Before you begin your Halloween Mummy Preschool Craft, choose a coordinating Halloween book to read your children. 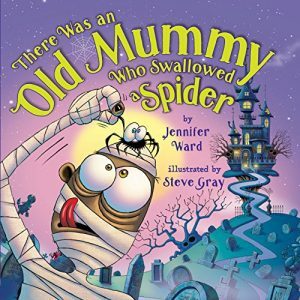 There Was an Old Mummy Who Swallowed a Spider is a fun book to pair with this craft! Once you’ve read your kiddos a fun Halloween book about mummies, they’ll be super excited to get started on their Halloween Mummy craft. 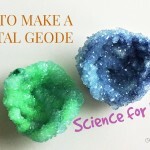 This craft is appropriate for kids ages 3-7. Some kids in the 3 year range will need help wrapping the string around the mummy. Making the Halloween Mummy preschool craft is really very simple. Time to make the project should take 5-10 minutes depending on the number of children that require help and whether or not you are having the children cut out their own mummies. Cut out mummy figures from the template above. Cut a length of white yarn approximately 24 inches long. Tape one end of the yarn to what is to be the back of the mummy. Demonstrate to the child(ren) to wrap the yarn all around the mummy. Once the yarn is wrapped all around the mummy, tape off the other end to the back of the mummy. If you find the child has wrapped the yarn a little loosely, you can just put a long strip of tape down the back side of the mummy to hold all of the yarn into place. Place two dots of glue on the front side of the mummy where you would like the child to place the googly eyes. Have the child apply the eyes. Leave the mummies for at least 20 minutes for the glue to dry. These are the mummies from my 3 and 4 year olds. Aren’t they cute! 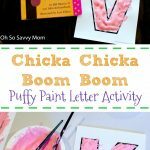 Previous PostChicka Chicka Boom Boom Activity Gets Kids Excited About Letters!